Ethyl Alcohol, is it safe? 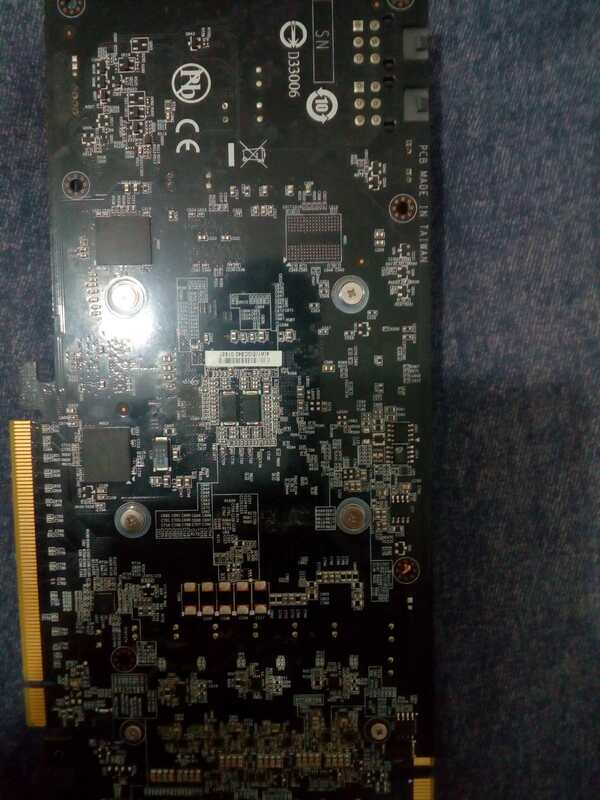 I need to clean my GPU PCB and currently the only thing i have home is Ethyl Alcohol Sanitary 96% Partially Denaturated (Long name cuz I want to give as much info on it as possible). Will this damage my GPU? @danj what about the board itself https://i.imgur.com/1GDLVPd.jpg is it safe? I guess the question is what are you trying to clean off? Ethyl Alcohol is safe for the PCB. It will cut through flux if thats what you are trying to clean. I assume you are cleaning the thermal paste off of your GPU chip and its heat sink. Ethyl Alcohol will cut through most oils and will clean the thermal paste off. But you should use a stronger solvent like toluene afterwards to clean off the residual materials off the chip & heat sink. Denaturation is when additives are added to make the alcohol not drinkable its this additive that will leave a trace on the surface. unusual to use ethyl alcohol but absolutely safe around the boards etc. and perfectly okay to remove your thermal paste with it. You got to use what you got and it’ll work. ethyl alcohol is pretty much grain alcohol —plus poison so you can’t drink it without going blind. Yes, you can use it to clean stuff. @jessabethany that is absolutely wrong! Ethyl alcohol is the only one that you should be drinking just not by itself (moonshine). @oldturkey03 - 96% Partially Denatured Is the act of altering the grain alcohol so it's not drinkable (makes you sick). To prevent if from being drunk. @jessabethany - You won't go blind ;-} Thats wood alcohol that was often used to fortify booze back in probation times. It was also used in altering Absinthe back in the twenties as the demand outstripped the supply in France as it was so popular. Which is why it was outlawed for so long. In addition it has a dangerous Ketone: A-thujone which is also a poison if consumed in a large enough quantity, it's a natural part of wormwood which is what is what Absinthe is made from. @danj the liquid in question here was "ethyl alcohol" not denatured alcohol. Ethyl alcohol is not denatured. The fact remains that ethyl alcohol is not poisonous no matter how much irrelevant information one adds to that. Thank you and have a great weekend. Back in the lab days, ethyl alcohol 99.9% was always spiked with methanol by law so that you could not drink it (well, at least without going blind). If not for the methanol, then laboratory ethyl alcohol would have been made into Purple Jesus on the weekends for sure by the poor grad students. I believe that the methanol spiking is required for reagent grade ethanol to avoid the booze tax that would otherwise make it too costly to use for cleaning up bacteria. And GPUs.